AFTER TEST I SHOWING ELECTRIC VERSION MR LUCJAN TEST !!! INVERSE SQUARE LAW is much more important than NEWTON !!! INVERSE SQUARE LAW - LAW DESCRIBES HOW ENERGY RISE IN UNIVERS !!! 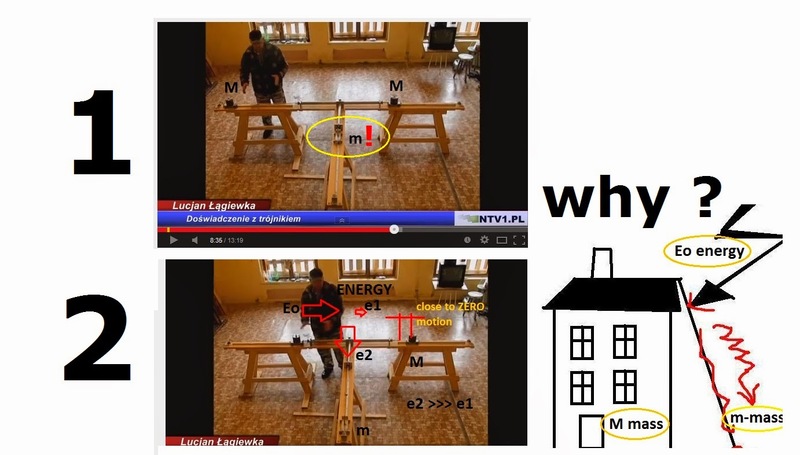 MAROSZ - my modification - perpendicular pipe schould be more shorter !!! mass m will take much more energy than mass M!!! IT IS MY OWN IDEA HOW TO IMPROVE LAGIEWKA's TEST !!! 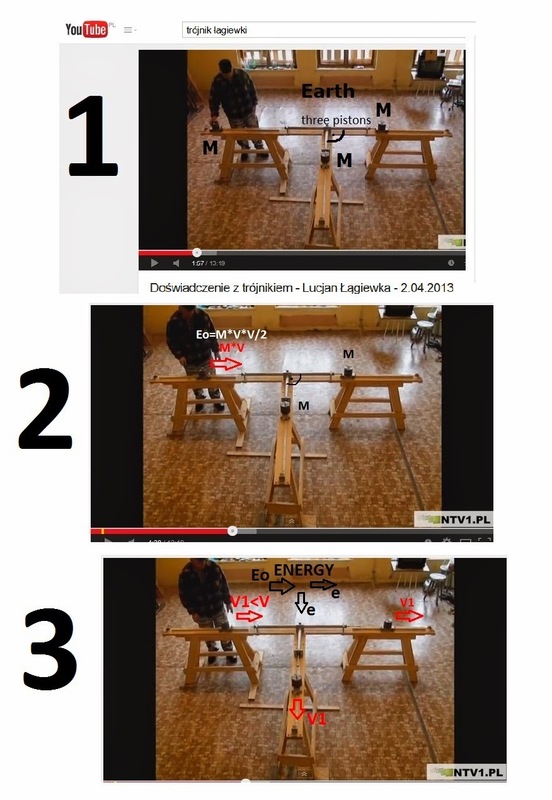 Marosz electric version LAGIEWKA TEST !!! more electric energy will go to short arm reason is Inverse Square LAW !!! small electrons has got mass !!! mass m is moving !!! EINSTEIN's train and above !! the bigest mistake is that people understand tha FLAT line = light . Not exist in universe FLAT WAVE !!! waves are always 3D !!! The dors waits not for light but for EM preasure !!! optical sensors are registering ( Joul/meter ^3 ) and need minimal initial energy !! !